A Gold Coast family who have spent almost two years in an RV travelling through the US to raise money for homeless shelter pets, have had their story picked up by Animal Planet for a six-part mini series! The adventure began for the Amos family when Dad Anthony sold off the Australian rights to his successful franchise HydroDog. 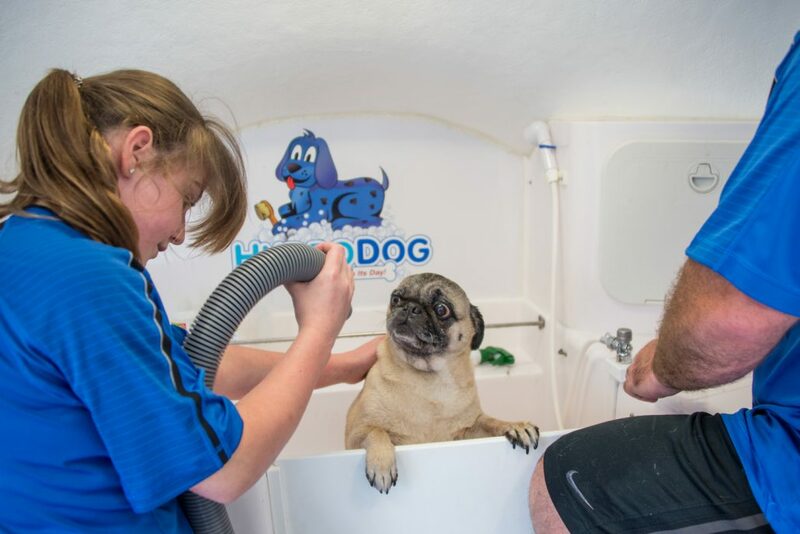 The original goal was to launch HydroDog in the US, but after the Amos family realised 5,000 dogs are euthanised every day across the country, their passion soon turned to changing the stigma of shelter pups and the ‘Bathe to Save’ initiative was born. “The ‘Bathe to Save’ initiative was a concept created by our entire family, a notion that has seen us travel to every state in the US raising the profile of local shelters profiles and holding adoption days with the end goal to find every animal a forever home,” Mr Amos said. After their story was shared by a number of US news stations, it was picked up by Animal Planet for a six-part documentary series. “We couldn’t believe it when we got a call from Animal Planet saying they wanted to hit the road with our family of five and pup to showcase the effects Bathe to Save has had on shelters and rehoming centres across the US,” Anthony said. The Amos family hope to wash 25,000 dogs in animal shelters as well as host various nationwide dog-washing events whilst filming for their upcoming television series. The heart-warming series titled ‘Furever Home’ will be featured on Animal Planet in the US and air in September.